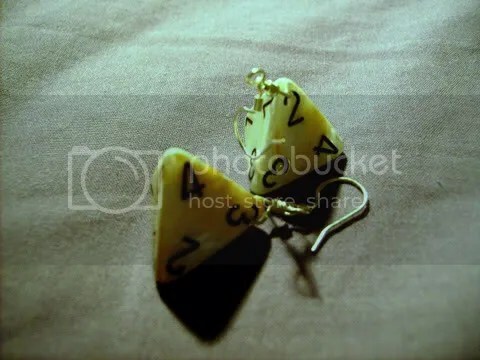 This pair of earrings are from a collection I have up for sale and were made from a pair of gleaming faux-bone four-sided dice with black numbers and gold inlay. The marbelised look of the dice resemble bone, and practically goes with any outfit (tried and tested). The hint of gold adds a subtle shimmer to an otherwise dull colour.